Fully Synthetic Engine Oils, designed with passion for Race conditions for Maximum Racing Engines Protection. Very High VI index as advantage in extream conditions. Synthetic low SAPS passenger car engine oils designed for protection of modern emission systems. Synthetic high performance universal passenger car engine oils designed for maximum engines life in all conditions. High performance universal passenger car engine oils designed for prolonging engine life. High quality universal passenger car engine oils designed for normal running conditions. Lubrita oils manufacturing is done in accordance certificated with ISO-9001:2008, ISO-14001:2004 and OHSAS-18001:2007, which means that our policy is aimed at meeting our customers requirements as much as possible, without losing sight of aspects like security, health and environment. With our extensive range of high quality lubrita engine oils a growing number customers now trust Lubrita lubricants to pro­vide cleaner running engines, better fuel economy, lower maintenance costs. 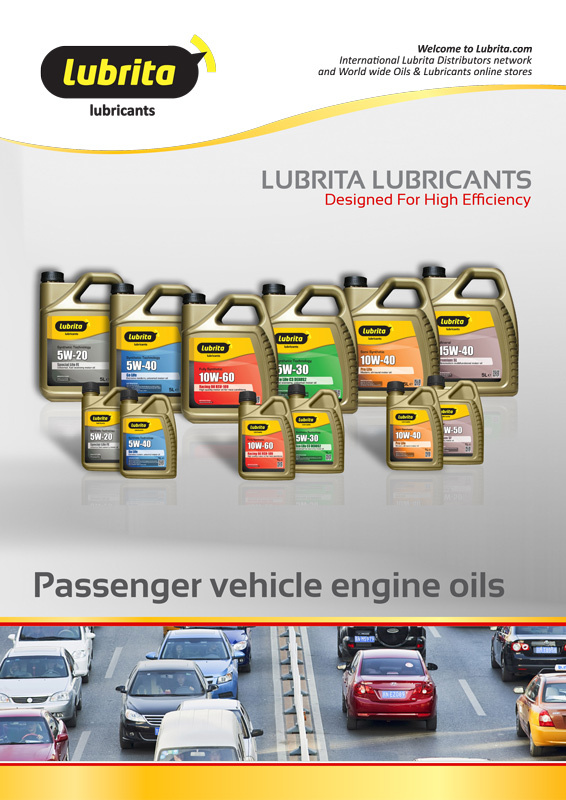 *Lubrita passenger vehicles engine oils broshiure available under request.